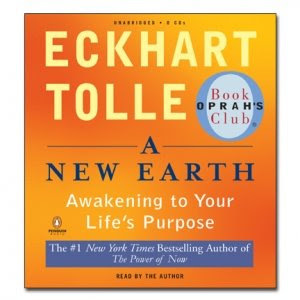 This little experiment was triggered by hearing an audio book by Eckhart Tolle, I guess the name of it is A New Earth. I'm not totally sure on the name as my friend Sandra gave it to me and I just threw it on my car CD reader. 1. The awareness or consciousness, also could be called the true being, some would think connected to the whole. 2. The ego, the I, me, myself on each of us separated from everything else out there. The experiment consists of perceiving the being inside ourselves and attempting to observe the ego from a separate higher level of consciousness. I have to admit that even when the concept of ego was familiar to me, I thought it was overrated and I was very dubious of the usefulness of this definition. The way the experiment is conducted is by closing your eyes if possible (of course it was possible to me! It's 4:00am and I'm lying in bed when I started!! ), and starting to feel the liveness of one of your hands, the other hand, feet, etc. While you attempt to have your mind perform this simple task, you monitor the thoughts that arise in your mind. You're trying to be just a higher level consciousness watching these thoughts as a person would be watching a tv show, without merging with them, without getting totally engaged with them, knowing that they're a separate thing from you, the observer. I guess it's the old buddhist and zen thing of observer and object of observation. So, I got started and I have to tell you it was interesting -to say the least, for moments it was actually hilarious. 1. It will give myself pleasure or avoid suffering. 2. It would give some sort of explanation to something and get the logic part of my mind entertained. 3. It would justify what I've done or what I'll do and make me right in some way and others wrong as well. 4. It would compete with others and make me better in some way. 5. It would save me energy by repeating some old habit. 6. It will avoid something I fear. If I do that or don't do that fear of what would or wouldn't happen. 7. It would make my ego feel bigger. It would increase my rating/connections inside some social network. Any of these thoughts would clearly take me out of my simple task, something I desperately wanted to do most of the time. Very exhausting little experiment. The way it would go would be something like this. I'd try to feel the liveness in my hand, seconds if not fractions after I was questioning the experiment. Then, as the awareness was monitoring, I would see the thought of questioning, sensing that it's a thought of fear to the unknown following my habit of labeling everything. Then, I'd go back to the liveness of my hand and the next thought would pop out. Next I would have some totally unrelated thought about something I'd like to do in the future, or something that just happened and I needed to label in some way. It was incredibly difficult to steer my mind to one simple task, all sorts of thoughts kept arising. Eventually my mind arrived to some thoughts that seemed temptingly interesting such as conclusions on the experiment itself or something else. At that point I would have a thought to blog about it, which was hilarious to me as I could clearly discover the reason for blogging was a very egotistic one as well. Then, I was laughing and going back to the hand and so forth. It was interesting also to see those thoughts pop out like bubbles faster and faster as I would ask myself what is the purpose of this thought? and how does it serve my ego? Those thoughts would quickly dissolve in the light of my consciousness. How does it continue? I think I'll keep playing with this and see if this new way of thinking might lead me to new experiences or to a more connected and aware being of some sort. PS: I witnessed a little fight between my awareness and my ego regarding writing this post and I ended up deciding write this post in the end to share it and document my learning process (as my memory fades too fast).